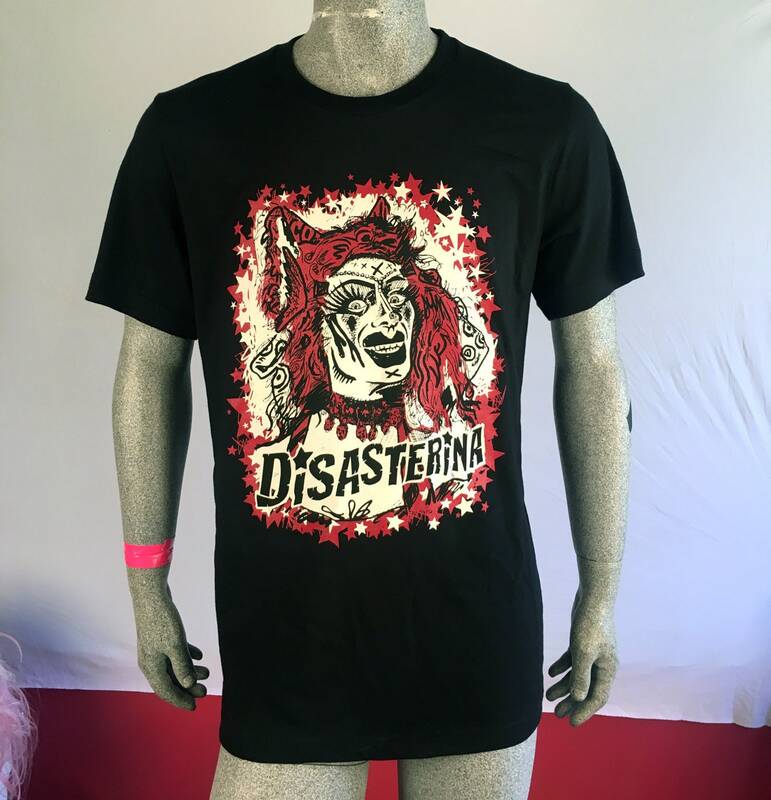 The official Disasterina Tshirt is HERE AGAIN! Proudly wear LA's Most Disastrous Drag Queen on your chesty! Collect all 4 colors!!! - The shirts are 100% combed and ringspun cotton with side seams, retail fit, shoulder to shoulder taping, unisex sizing. Love it so much!! Thank you!!! You are the best! !